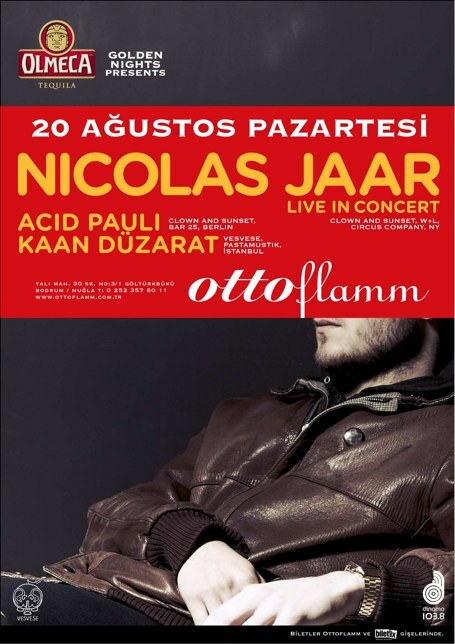 Vesvese proudly presents, for the second time in Turkey after two years, but this time with his band; Nicolas Jaar. From his label Clown and Sunset, Acid Pauli of Notwist and Console and Vesvese Headhoncho, Kaan Duzarat will be at the booth before and after the concert at Ottoflamm. Don’t miss the event of the year!